With the new Nexus 7 hitting retailers at the end of last week, today as the official launch day sort of lost some of its excitement. So to help bring back some of that excitement, we’re going to give two of them away! That’s right, two of DL’s readers will walk away with the brand new 2013 Nexus 7, with it’s beautiful FHD display, Snapdragon S4 Pro quad-core processor, and Android 4.3. The 16GB version of the new N7 runs $229, but this will save two of you from having to pay that price. Update: Winners have been picked and emailed! 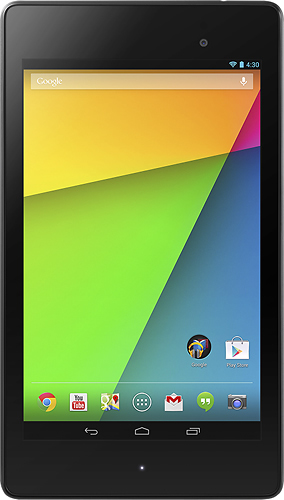 Prizes: Two (2) Nexus 7 16GB tablets. Winners: Winners will be chosen tomorrow morning at 9AM Pacific (12PM Eastern).